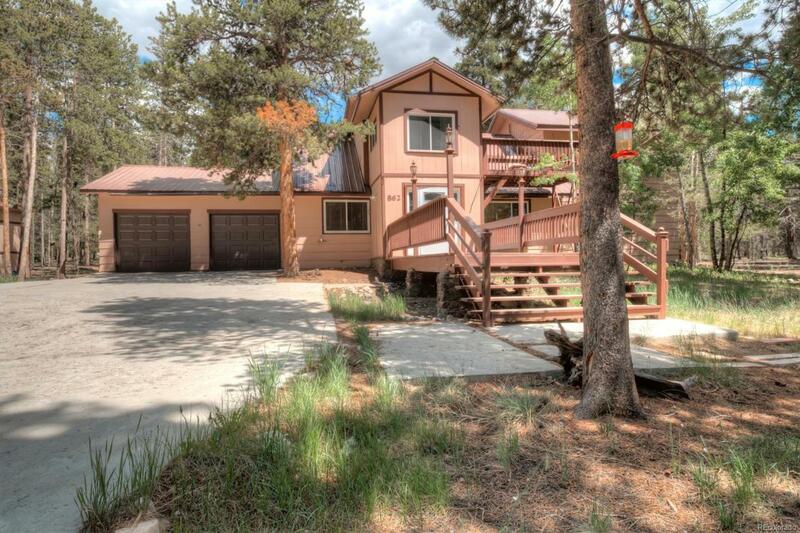 Great family/vacation home in the perfect location only one mile south of Safeway. Completely renovated in 2016 adding 10 solid wood 6 panel doors, 3/4" nail down gun stock oak flooring, beautiful custom made staircase railing, Jacuzzi tub in main floor bath, new stainless steel appliances including a large gas range, second floor bath with 6 ft soaking tub, skylight, custom wood and tile finishes and a separate shower. Two bedrooms down stairs, two up and a large family room on the 2nd level with a wood burning stove. First level has in floor radiant heat and a gas fireplace. There are two additional storage sheds on a large wooded lot. Oversized two car garage is heated with a wood burning stove. One thousand gallon septic tank a new well pump in 2016 and a concrete roundabout driveway.